Dino and Stefano Illuminati in the vineyard, Contraguerra, Teramo Province, Abruzzi, Italy. Dino’s grandfather founded the family estate in 1890. Illuminati’s Riparosso first arrived in Australia in 1991 following a Farmer Bros buying trip to Italy. People immediately took to the savoury, medium-bodied red and it became the company’s biggest selling Italian red. When Farmer Bros collapsed in the mid nineties, importation and sales direct to consumers continued through Coles and later Woolworths, the current importer. In theory, cutting out the wholesaler gives the retailer a greater profit opportunity. But as other retailers do the same, the potential gain is substantially competed away, meaning lower prices. This is good news for drinkers and Chateau Shanahan continues to enjoy Riparosso as much now as 28 years ago when those first containers rolled off the ships. We recently enjoyed Riparosso 2016 (screw cap) and its cellar mate Ilico 2015 (cork) side by side over a meal in Melbourne. Riparosso appealed for its initial fruitiness, then its rustic tannins and overall savour – a satisfying quaffing red, showing the earthy, savoury character of the Abruzzi region’s signature grape variety, montepulciano. Ilico amplifies the montepulciano experience and adds a touch of finesse. The wines come from leading producer Azienda Agricola Illuminati of Contraguerra, Teramo Province. The winery sits on a ridge with views to the Adriatic to the east and Apennine Mountains to the west. Nicolo Illuminati founded the estate in 1890 and following the early death of his son, raised his grandson Dino Illuminati. On Nicolo’s death Dino took over and today, at 88, continues to work in the business, now run by his son Stefano. Woolworths imports Illuminati wines through its subsidiary, Pinnacle Drinks, and sells them through Dan Murphy and BWS retail stores operated by another subsidiary, Endeavour Drinks Group. To every thing there is a season. And for Clonakilla riesling, the warm, dry 2018 season produced a riper, richer wine than in the cooler 2017 vintage. Despite the heat, ‘Grapes held excellent acid’, says winemaker Tim Kirk. That tangy acidity balances a delicious riesling with rich, citrus-like varietal flavour in the pure, delicate Clonakilla style. It’s impressive now as a vibrant, fruity young wine. But it’ll change in pleasing ways over the next decade – best experienced by cellaring a case and enjoying a bottle every year or two, potentially over decades. For example, the 16-year-old, 2003 vintage (the first sealed with screw cap), ‘Looks fantastic’ according to Kirk, combining mellow aged character with freshness. Kirk says 2018 marks the first year his riesling came predominantly from young vines on a cool south-facing slope near the cellar door building. Previous vintages had been sourced from a combination of estate-grown fruit and grapes from nearby Long Rail Gully. Clonakilla Riesling 2018 is due for release in March. It’s dusk at Lake Conjola, and on a small jetty the tailor continue to take my friend Mario’s line, if not mine. He’s bagged enough for tomorrow’s brunch, and I think, well no bites for me but I can at least pour a drink. Try this I say. Mario tastes the red wine. Lemon, he declares, bloody delicious, fruity and tangy. And it is, too, a distinctive dry red wine made from the Italian varieties corvina and rondinella. Brian Freeman grows both on his 175-hectare estate in the Hilltops region, the high country in the vicinity of Young, New South Wales. These are the varieties behind the medium bodied, savoury dry reds of Bardolino and Valpolicella in Italy’s Veneto region. At their best, both offer a refreshing combination of fruit, savour and tangy finish – not unlike Mario’s impression of the Australian wine. Freeman says they’re late-ripening varieties, which he harvested in early April (weeks behind other reds) in the benign 2017 vintage. Fermentation in stainless steel vats captured varietal flavour and 12 months’ maturation in old oak mellowed the naturally savoury tannins. The resulting wine pulses with vibrant berry flavours, in the clean, fresh Australian style; but there’s a deep, savoury, soy-like element, too, accompanied by the pleasantly tart but soft tannins experienced in the better wines of Bardolino and Valpolicella. Clearly rondinella and corvina grow successfully in the Hilltops region. And this cleverly made wine, revealing minimal winemaking artifice, allows us to experience their unique flavours and textures at a fair price. Freeman Rosso 2017, made to enjoy now, is available direct from Freeman Vineyards. Windowrie Family Reserve won gold at November’s National Wine Show of Australia. It was one of 113 wines entered in the ‘Shiraz 2016’ class, and one of eight wines to win a gold medal in it. However, several big, expensive names – including Yalumba The Octavius and Seppelt St Peters – escaped the judges’ attention, confirming the democracy of masked tastings if not the reliability of the results. Windowrie Family Reserve 2016 no doubt stood out to the judges for its delicious fruit character. The wine pulses with ripe, red-berry and spice flavours, supported by juicy, soft tannins – a pleasing combination that means vibrant, fresh drinking and the satisfying structure and finish of a real red. David and Wizz O’Dea planted their first vines at Windowrie, Cowra, in 1988. They’ve witnessed and stood solid during Cowra’s massive vineyard expansion of the nineties, followed by massive contraction a decade later. They preside now over a large vineyard holding and over time have added a winery and moved steadily up the quality ladder. In the nineties many critics, myself included, typecast Cowra as a source of mid-priced whites while doubting its potential to make decent red. Some time back now Jason O’Dea (son of David and Wizz) and winemaker Anthony D’Onise proved otherwise. Windowrie reds, including their Pig in the House label, regularly win medals at wine shows. Taking gold at the National Wine Show is a great achievement. Windowrie Family Reserve Cowra Shiraz 2016 is available from the Windowrie website. If Australia owns any one wine grape variety, it’s shiraz. We grow around 40,000 hectares of it. Our shiraz vineyards cluster either side of the 4,000 kilometres from east to west coast, through 16 degrees of latitude (from south-eastern Queensland (27 degrees) to southern Tasmania (43 degrees) and from near sea level to 700 or 800 metres above it. We’ve grown shiraz successfully for over 200 years and, in several regions, vines planted in the mid-to-late nineteenth century still produce beautiful fruit. A diversity of climates, soils plus viticultural and winemaking approaches produces an equivalent diversity of shiraz styles, ranging from fragrant, light to medium styles in cooler areas to thunder-in-the brain blockbusters from hot areas. At a recent Chateau Shanahan masked tasting we compared three of these contrasting styles – two from warm climates (Barossa and Hunter valleys) and one from the cooler Canberra district. I selected each specifically for individuality and perceived leadership in its style. The experienced tasting group saw nothing but three glasses in front of them. Their brief: in front of you are three Australian wines of the same variety but from three different vintages and three different regions. What is the variety? What are the style differences? What regions could they be from? Are these as good as Aussie shiraz gets? The group has been tasting wine systematically for more than 20 years. They quickly nailed the variety, albeit with a couple of false starts, no doubt caused by the amazing style variations. With only the senses as a guide, the group looked for clues: surely wine number one’s deep colour and strong flavours pointed to a warm area. Yes, indeed. Wine two – now that’s an enigma: the colour’s pale to medium and it’s medium bodied, but it’s also savoury and strong with tight tannins. Put this in the too-hard basket for a moment. Well, no, said one taster, I think the lighter colour and body suggest a cool climate. Wrong, but good reasoning and not the first time someone’s seen this particular wine this way. Wine three’s medium depth and vivid colour pointed to youth (this must be the youngest of the three), and its fragrant, floral, spicy aroma and medium body said ‘cool climate’. Yes, indeed. So after a few minutes, we had wine one in a warm climate, wine three in a cool climate and wine two unresolved. We explored the options for number two, and found ourselves in the Hunter Valley. What other hot area grows shiraz with cool-climate characteristics? Nowhere else. We’d not yet nailed the other two wines to specific regions. But the same guy who’d suggested cool climate for the Hunter wine, said I think number three’s Clonakilla Canberra Shiraz Viognier. Spot on. It’s a distinctive wine, long familiar to our Canberra-based tasting group. After mentally exploring Australian warm climate shiraz styles, we eventually placed wine number one in the Barossa – and it must be said the sheer dimension and beauty of the wine surprised several of the tasters. Discussion then moved to what remarkably beautiful and unique wines we had in front of us. Food being served, we relaxed and savoured the magnificence in our glasses. Our conclusion: the three easily sit among Australia’s very top shirazes. Although a comparative newcomer, our favourite wine of the night, John Duval Eligo 2015, rightfully claims a longer pedigree than the label alone suggests. John Duval worked for Penfolds for decades and in the mid eighties succeeded Don Ditter as chief winemaker, a role he retained until 2002. 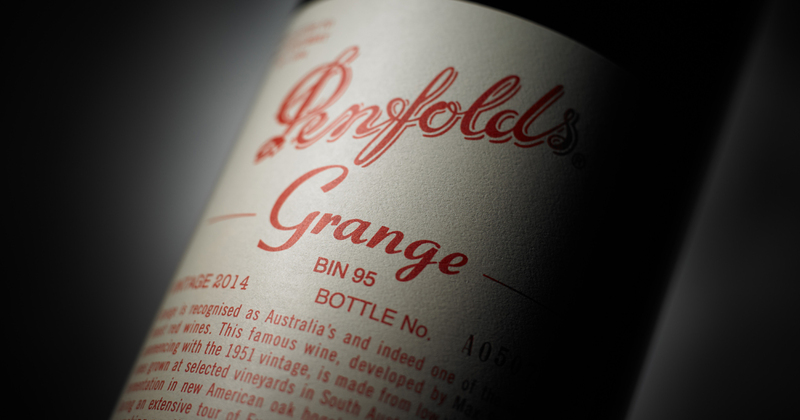 Responsible for making all of Penfolds reds, including Grange, Duval also created Penfolds RWT, a wine that still stands as one of the greatest of all Barossa shirazes. Duval’s deep knowledge of Barossa vineyards and exceptional winemaking skills produced the wine that topped our little tasting. Vineyards: John Duval writes, ‘Eligo represents the best of my 2015 vintage and is sourced from some excellent vineyards in the Barossa Valley and Eden Valley regions’. (The more elevated, cooler Eden Valley adjoins the Barossa Valley’s eastern boundary. The two regions together form the greater Barossa Zone). Winemaking: Fermentation with submerged cap in small stainless steel tanks. Some batches on skin up to two weeks. Maturation, 20 months in French oak hogsheads (300-litres) – 55% new, the rest two, three and four-year old. Tasting note: Deep red–black colour with crimson rim; full, ripe, plummy varietal aroma with spicy, charry oak; full, ripe palate with intense black-cherry like fruit flavours deeply meshed with sympathetic oak and persistent, fine tannins; a wine of rare dimension – intense, ripe and firm, but elegant and refined. This was the group favourite. Vineyards: Pokolbin, lower Hunter Valley: 1892 Eight-Acres block,1968 Contours block, 1968 Weinkellar east block. Average vine age 66 years. All vineyards dry grown in similar soils: red volcanic clay over limestone. Winemaking: All fruit handpicked, de-stemmed but not crushed; fermentation in open-top stainless steel vats. Maturation in new French oak 2,700-litre casks until April 2017. Tasting note: Pale to medium colour, with youthful crimson rim; wedged between the Duval and Clonakilla wines, Vat 9 showed contrasting savoury, earthy characters on a taut, comparatively austere palate, with an underlying core of sweet fruit. The group rated this second of the three shirazes. Paradoxically the group drank more of the Vat 9 than of either of the other two wines. Was it really the favourite? Or were we simply probing its idiosyncrasies? Vineyards: Clonakilla Euroka Park and T&L vineyards, Murrumbateman, New South Wales. (The Canberra District includes vineyards in both the Australian Capital Territory and neighbouring NSW). Grape varieties:Mostly shiraz, co-fermented with the white variety viognier (about 6% of the total). Winemaking: Fermentation in open vats (20–30 per cent whole bunches, the rest de-stemmed and pumped to the fermenter, resulting in a mix of crushed and whole berries); cold soaking for several days as a spontaneous fermentation begins. Plunging machines break up the caps of skins and grapes three times a day at peak ferment, then daily as the ferment slows down. The 2017 remained on skins for three weeks post-ferment before being pressed off into 225-litre French oak barriques, one third new, for 12 months’ maturation. Tasting note: Medium, vibrant crimson colour; fragrant, floral and vibrant aroma and a matching deep, spicy, luscious palate; a wine of supple elegance, with a fine, persistent tannic structure and notable length. The group loved this wine, but on the night paid more attention to the Duval and Tyrrell wines. Pale, green-tinted straw colour; pure, citrus-like riesling aroma, precisely mirrored on an intense, powerful but very finely-textured palate, backed by assertive acid. An invigorating drink now in its fruity youth, Bin 51 also has potential to gain rich secondary flavours and texture with cellaring. Regions:Adelaide Hills (South Australia), Tasmania, Tumbarumba (New South Wales). Maturation:Eight months, French oak, 25% new. Previously sourced from Tumbarumba, NSW, a reborn Bin 311 now contains fruit from three regions from three states. The wine combines spicy oak and barrel-ferment character with varietal grapefruit- and nectarine-like flavours. If you were a fan of the old Bin 311, be aware this is a more restrained, delicate style than the punchier old all-Tumbarumba version. Maturation:Eight months, French oak, 40% new. Since when does a white upstage Penfolds’ reds? Reserve Bin A Chardonnay grabbed my attention more than any other wine at this year’s release tasting. Though it’s not better than the best reds in an absolute sense, it offers amazing richness and dimension, albeit in far more robust style the Bin 311 and Yattarna chardonnays flanking it: pale straw-lemon colour; funky aroma combining barrel-ferment characters in amalgam with nectarine-like varietal fruit aroma; delicious palate featuring fruit, barrel-ferment and nutty barrel-maturation flavour. It’s a very big, generous style but still elegant and refined. It’s a wonder to drink now and I suspect will evolve well for another ten years or so. This is very special indeed. Wow. We note its cellar mate, the Cellar Door Reserve 2017 won several trophies at the recent National Wine Show of Australia. Regions:Tasmania, Henty (Victoria), Adelaide Hills (South Australia), Tumbarumba (New South Wales). Maturation:Eight months, French oak barriques, 35% new. It’s a leap of faith to buy Yattarna at $175. Right now it’s supple, elegant, restrained and harmonious – all good and rare qualities. However, the fine fruit doesn’t leap out at present, certainly not in a fleeting tasting, and like other vintages its best drinking probably lies a few years ahead. Put this on your watch list and buy through auction. Regions: McLaren Vale, Barossa Valley, Padthaway, Wrattonbully. Maturation: Eight months, French oak (10% new) and American oak hogsheads. Deep red–black colour with crimson rim; the aroma and flavour combine the round, ripe character of shiraz with the distinctive jube-like flavour of mataro (ak mourvedre or monastrell). Where shiraz on its own finishes with soft tannins, this blend shows the pronounced, grippy tannins and savour of mataro, creating an assertive, firm blend. Bin 8 provides a subtle, elegant and earlier drinking expression of the shiraz–cabernet blend than the far more assertive Bin 389 reviewed below. Ripe, round shiraz provides the first impression before the cabernet makes its presence felt in flavour and elegant structure, underpinned by delicious, supple fruit. Maturation:Nine months, French oak barriques, 30% new. A fully priced, good if not leading Aussie pinot noir, Bin 23 provides sweet aromas and voluminous sweet fruit, overlaid with herbal and savoury characters. Part of the savour comes from the inclusion of whole bunches in the ferment. Fine tannins give grip and structure to a wine best drunk within a few years of vintage. Regions:Barossa Valley, McLaren Vale, Padthaway, Upper Adelaide, Wrattonbully. Maturation:12 months, seasoned American oak hogsheads. Deep colour, vividly crimson at the rim; black-cherry-like fruit with black-olive savour in the aroma and also raspberry-like fruit on a palate cut by firm tannins and accompanied by alcoholic heat. A generous warm-climate shiraz with savour as well as fruit. Fully priced. Maturation:12 months, French oak, 30% new. Where Bin 28 shows the power and grip of warm climate shiraz, Bin 128 shows the fresh berry character and elegance of Coonawarra’s comparatively cool climate. The colour’s a shade lighter than Bin 28’s, though no less vivid and youthful; sweet, ripe berry flavours fill an enticing aroma; the same pure berry flavours flow to the supple palate, accompanied by spicy oak and subtle herbal characters. This is a sound regional varietal marred ever so slightly by alcoholic heat – which may have been a function of serving temperature on the day. Fully priced. Grape varieties:72% shiraz, 16% grenache, 12% mataro (also known in Australia as mourvedre). Maturation:12 months, seasoned French and American oak. Dense colour with purple rim; ripe but spicy fruit aroma, with a notable lift from the grenache; juicy, soft, generous palate, round and rich with earthy, spicy and savoury character as well as plum- and cherry-like varietal flavour. The dry finish emphasise the spicy character of these varieties. What a lovely expression of this classic warm-climate regional blend. Maturation:12 months, American (25% new) and French (7% new) hogsheads and puncheons. Dense with crimson rim; great volumes of ripe, black-cherry-like aroma, with an exotic spicy-herbal overlay; exciting, buoyant palate with vivacious fruit, deliciously integrated with oak and tannin. A complete, generous and complex Barossa shiraz. Wow. Regions:Coonawarra, McLaren Vale, Barossa Valley, Wrattonbully, Padthaway. Maturation:12 months, French oak (25% new) and American oak hogsheads (9% new). Deep with purple rim; a subtle but clearly cabernet aroma suggests a wine of modest body; but the powerful palate belies the aroma and combines sweet, supple fruit with chewy, sweet oak flavours, backed by ripe, firm tannins. Bin 407’s proven cellaring ability makes it a sound buy, albeit fully priced. Grape varieties:51% cabernet sauvignon, 49% shiraz. Regions:Barossa Valley, Coonawarra, McLaren Vale, Padthaway, Wrattonbully. Maturation:12 months, American oak hogsheads, 37% new. Deep with purple rim; a striking and appealing aroma combining ripe fruit, soy-like and earthy characters; the initially generous, rounded shiraz-driven palate reflects the aroma and although supple and smooth, strong cabernet tannins assert themselves in the finish. This is a potentially long-lived Bin 389. Grape varieties:93% shiraz, 7% cabernet sauvignon. Regions:McLaren Vale, Robe, The Peninsulas, Barossa Valley, Wrattonbully, Adelaide Hills, Mt Benson. Maturation:12 months, large oak vats, more than 50-years old. Ah St Henri, the shy, elegant Penfolds red never sees a small oak barrel – a mainstay of the general Penfolds style – yet ages for decades and drinks beautifully. It’s a favourite at Chateau Shanahan because it’s always exciting. I rated the 2015 vintage among the top few wines of this year’s release tasting: Deep with crimson rim; pure aroma of ripe, dark berries with a savoury overlay; juicy, fruit-packed palate, supple, sweet and intense; it’s seductive but too young to drink yet with its deep fruit, savour and fine, firm structural tannins. Wow. Maturation:13 months, new French and American oak. 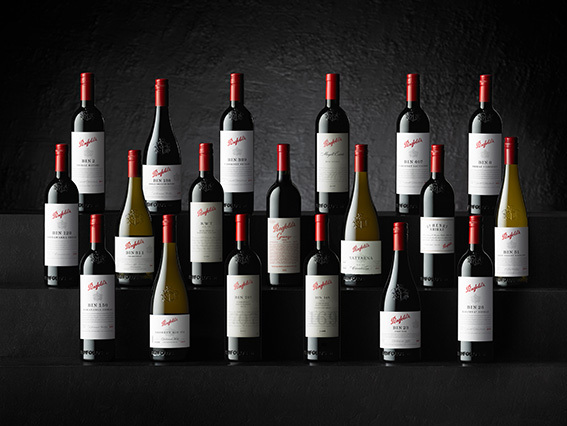 When Max Schubert designed Magill Estate Shiraz in late 1982, ahead of the first vintage in 1983, he specified the inclusion of fruit from other areas to bolster the estate’s more elegant style. However, it quickly became a single-vineyard wine of medium body. Today’s Magill, however, is a more substantial wine than the earlier vintages and this year’s release is particularly impressive: Deep with crimson rim; spicy, sweet scented and subtle in the Magill style but with Penfolds’ distinctive soy-like overlay; oak and fruit combine pleasingly on the palate, lifted by another Schubert thumbprint, volatile acidity. This is a distinctive wine showing the medium body of fruit from Magill overlaid with skilfully applied winemaker inputs. Maturation:13 months, new French oak hogsheads. Bin 169 is to Penfolds cabernet what RWT is to Penfolds shiraz. The wines contrast with the sheer power of Bin 707 and Grange respectively. Elegant, regional fruit and subtle French oak, rather than American oak, play key roles in Bin 169 and RWT. Bin 169 2016 expresses the perfectly ripe varietal flavour of Coonawarra cabernet sauvignon, cloaked in a cedar-like character derived from barrel maturation. Firm tannins underpin the fruit and together they form a strong but elegant palate with considerable cellaring potential. Maturation:12 months, French oak hogsheads, 72% new. Another great highlight of this year’s release: deep with vivid purple rim; glorious, perfumed Barossa shiraz aroma – bright, buoyant and ripe with generous, supple, sweet, pure, cherry-like varietal flavour. The fruit simply ate all the oak, though it subtly adds depth, structure and spice to a remarkable palate. Wow. Regions:Coonawarra, McLaren Vale, Barossa Valley, Adelaide Hills. Maturation:20 months, new American oak hogsheads. We can personally vouch for Bin 707’s very long term cellaring potential. It starts life brooding and tannic. Over decades its aroma develops greater dimension and the palate transforms from sheer power to an elegantly structured unity of oak, fruit and mellow aged flavours. The 2016 vintage: dense colour with purple rim; brooding and deep aroma, revealing ripe varietal flavours mingled with oak and Penfolds’ soy-like savoury character; the palate soars with deep, ripe, varietal fruit, lifted by the sympathetic oak – a wine of substance, power, elegance and with very long-term cellaring potential. Wow. Varieties:98% shiraz, 2% cabernet sauvignon. Regions:Barossa Valley, McLaren Vale, Wrattonbully, Coonawarra, Clare Valley, Magill Estate. Dense colour with crimson rim; savoury, complex aroma combing earth, oak, vanilla, soy and spice with a deep, ripe pulse of fruit; powerful palate reflecting the aroma, but with an exotic spicy oak character hovering over the opulent, tannin-packed palate. The spicy oak and inclusion of fruit from the cooler adjoining regions of Coonawarra and Wrattonbully make this slightly different stylistically from earlier warm-climate Granges. It’s a subtle change, as power, firmness and longevity remain the main theme. When Australia rode on the sheep’s back some of the finest merino wool grew on Merriman family land around Murrumbateman, New South Wales. The district remains a producer of fine wool, but shiraz now gives Murrumbateman an international reputation, earned initially by Clonakilla’s benchmark shiraz–viognier. What then are we to make of five trophies won not by shiraz, but by cabernet sauvignon grown on the old Merriman property? Graeme and Ann Shaw’s flagship red, Merriman Cabernet Sauvignon 2015, won three of its five trophies at Australian cool-climate wine shows and two more at the 2018 International Wine Challenge London. While it’s fair to say the cabernet line-ups in the Australian shows were limited. But the London event – where the judges awarded Merriman a trophy as best Australian cabernet – included gold medals to heavyweight rivals Lindemans St George Coonawarra 2015 and Wynns Coonawarra Estate Harold 2013. That result alone makes Merriman worthy of a close look, if not to declare cabernet a serious rival to shiraz in the Canberra district. The wine’s a deep, brilliant, crimson colour; the aroma and palate both show the ripeness and depth of the exceptional 2015 vintage – one of those rare seasons where flavour depth and ripe, firm tannins coincide. French oak adds another harmonious dimension to the substantial wine’s flavour and structure. Earlier this year I organised a masked tasting for a group at Burrawang Coastal Club on the NSW south coast. After a mood-lifting Champagne Bollinger Special Cuvée Brut we settled into dinner and a bracket of three contrasting dry rieslings – Dr Loosen Blue Slate Mosel 2016, Jacob’s Creek Barossa Steingarten 2010 and Gallagher Canberra District 2017. Gallagher alone offered the familiar flavour (to the group) of young Aussie riesling. Ernie Loosen’s Mosel showed a decidedly unfamiliar power and structure to many of the tasters. And the beautiful maturing-but-fresh Steingarten appealed widely. After this tasty and uncontroversial trio, the pairing of two unlikely red partners – New Zealand pinot noir and Australian sangiovese – unsettled the group. What could these be? The wines shared few common traits and in a masked tasting where I offered no initial cues, tasters’ first impressions began with only their senses, strongly influenced by the assertive tannin structure of the pair. But with a few clues, the group soon differentiated between the wines and eventually discerned we had two varieties from two countries. These were highly distinctive wines. Over time the Ata Rangi’s varietal flavour increasingly asserted itself. But the deep, layered, savoury tannins, albeit in a silky smooth style, separated it distinctly from the general run of softer Australian pinots. And it split the audience: some didn’t care for it; others, including an avowed pinot lover, savoured it to the last drop. The Lloyd family’s Coriole Sangiovese also found lovers and haters. Its deep, sweet fruit came overlaid and cut through with sangiovese’s strong, savoury tannin that gave the wine an appealing earthy, rustic character. We later noted the wine had won a gold medal in the 2017 Australian Alternative Varieties Show in the ‘youthful, fresh, juicy’ category. The Lloyd family began their sangiovese journey in 1985, so it’s little wonder to see such a gem at a modest price. Another maker coaxing the earthy, rustic, savoury tannins out of sangiovese is Bryan Martin. Martin and his wife Jocelyn, own a small vineyard near Murrumbateman, a NSW village within the Canberra District wine region. 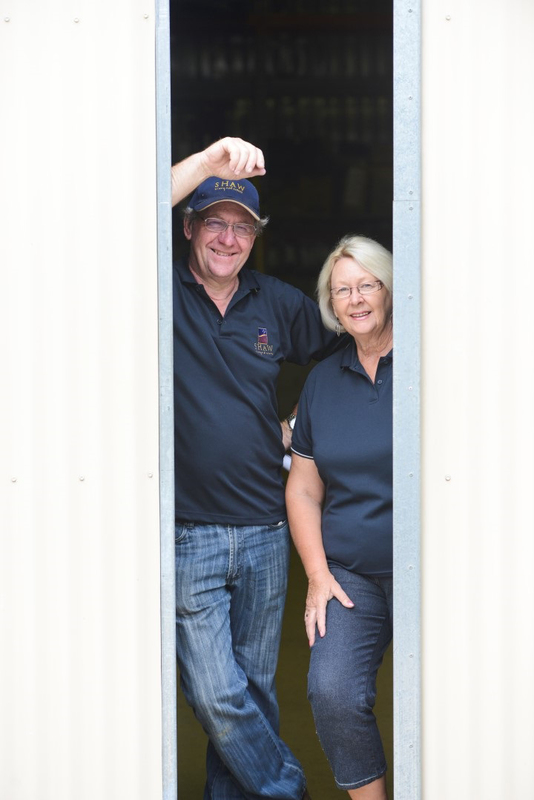 The couple’s Ravensworth wines, made by Bryan at Clonakilla Winery, include grapes from other growers in Canberra and surrounding districts. But with the first stage of their own winery recently established, the Martins now also release estate-grown wines, including this sangiovese. Martin’s winemaking technique captures the unique flavour of the variety but also enhances those delicious, grippy, savoury tannins. The result is a distinctive and complex sangiovese with layers of flavour and texture. Martin says the wine spends 4–6 months on skins, one year in ferment vats another in 2800-litre oak barrels (foudre).